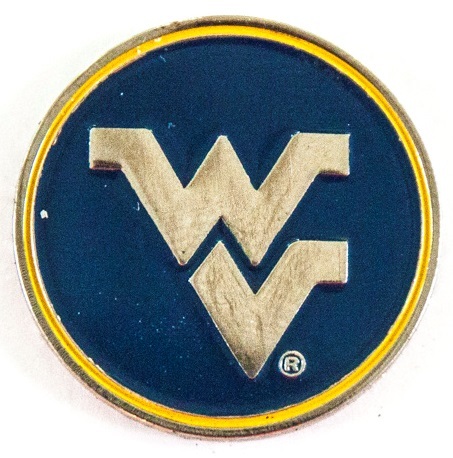 TRINITY, Texas (May 1, 2016) – Max Sear carded a 69 in the final round of play to finish tied for 12th place as the West Virginia University golf team wrapped up its first ever Big 12 Golf Championship on Sunday at Whispering Pines Golf Club in Trinity, Texas. Battling back from a rocky start, Sear finished under par in back-to-back rounds to move from 36th place after the first 18 holes to tie for 12th. The freshman birdied two of his first five holes on the final day, making the turn at one under par. He then added two more birdies on the front nine to finish three under par at 69. Sear carded a four-round score of 79-74-71-69=293 for five over par. He narrowly missed earning all-tournament team honors, which go to the top-10 finishers. The Mountaineers shot three over in the fourth round and finished with a final score of 311-314-289-291=1205 for 50 over par and in 10th place. Defending champion and No. 1-ranked Texas took home the team title, finishing 14 under par with a score of 1138 for its fourth consecutive Big 12 title. No. 6 Oklahoma State was the runner-up, shooting 12 over with a score of 1164. No. 45 Texas Tech was a stroke back and in third place after shooting 1165 for 13 over par. After carding a bogey on No. 10, Alan Cooke quickly got back on track with an eagle on No. 11. He added another birdie on No. 17 to make the turn at two over par. He then a pair tallied of birdies across his final nine holes to shoot one over par in the round with a 73. Cooke finished the tournament at 79-84-70-73=306 for 18 par and in 42nd place. Chris Williams overcame an early bogey in the fourth round with birdie on No. 12 to move to even par. However he carded two more bogeys and entered the front nine at two over par. Williams added another birdie and shot 83-77-74-76=310 for 22 over par to tie for 45th place overall. Easton Renwick started his last round as a Mountaineer with a birdie on No. 10, but struggled on the back nine and made the turn at six over par before adding a birdie on No. 2. Renwick recorded a four-round score of 77-79-75-79 for a total of 310, finishing 22 over and tied for 45th place. Freshman Tristan Nicholls paired a birdie with a double bogey on the back nine to stand one over at the turn. He rebounded by making birdies on two of the first three holes before a pair of late bogeys left him one over par. Nicholls finished at 76-91-74-73=314 to take 48th place at 26 over par. Follow @WVUSports and @WVUGolf on Twitter.